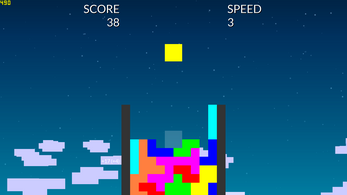 This was made for Game Maker's Toolkit Jam 2018. 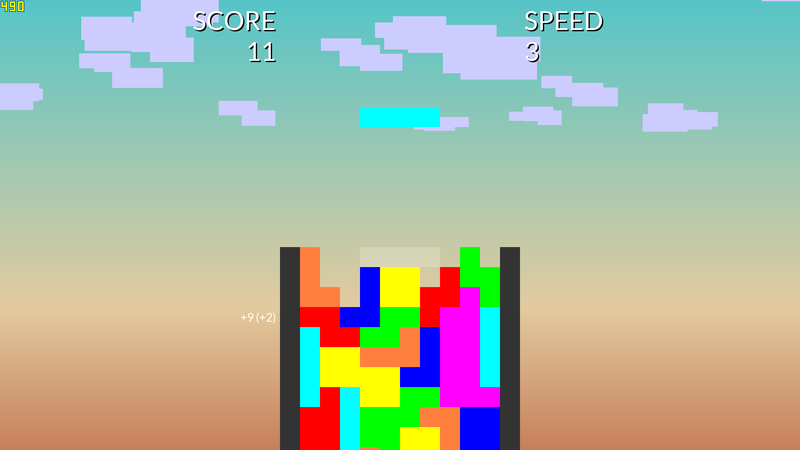 The theme was "<genre> without <mechanic>" and I made Tetris without clearing lines/a fail state. 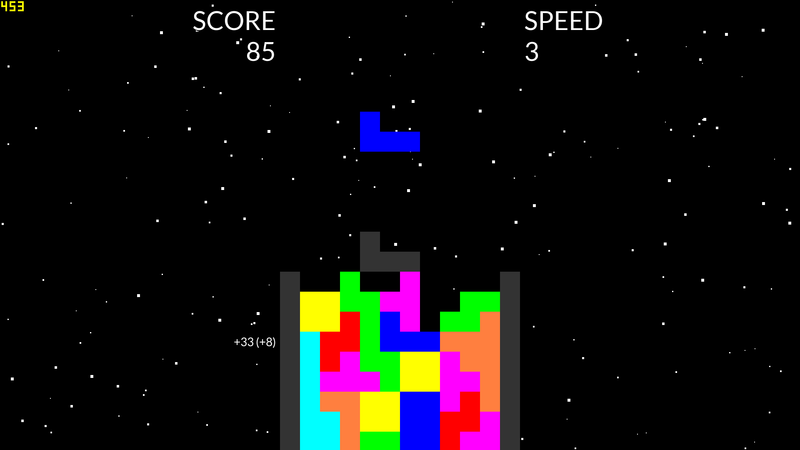 I play Tetris sometimes to "space" out and relax and I took this opportunity to make a Tetris game that made for exactly that purpose. 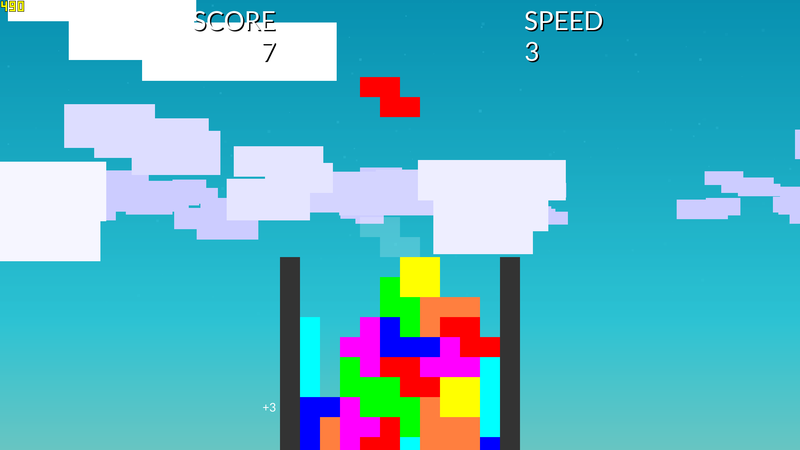 You can build your Tetris tower as high as you want (and discover some gimmicks I put in ;)). 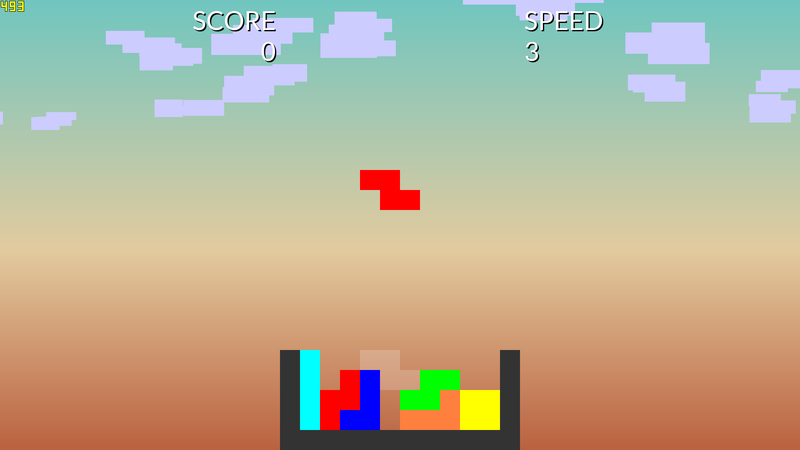 It even allows you to adjust the falling speed of the blocks to your liking or to stop time all together if you need time to think (you can still move and place the block while paused). 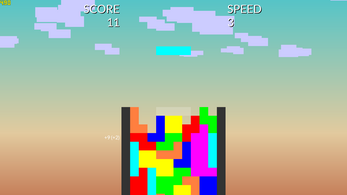 I kept working for a couple more hours to remove negative scores all together (I wasn't sure during the jam and then was sure shortly after submission), alternative controls (IJKL as arrow keys), gamepad controls, ability to mute audio (N) or music (M) and a really cool zoom-out when you press escape. 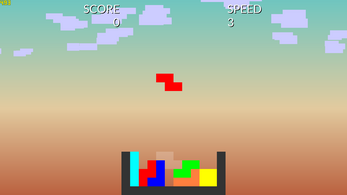 If you want to play it, head over to GitHub! If you are not using Windows, simply download löve at https://love2d.org and run the .love file! 2 - Especially with that many different colors everywhere the permanents scrolling up and down for new pieces can be a bit nauseating. I had that on my jam todo list! But I didn't put it in, because I didn't know how to limit it (still don't know really) and I had the feeling unlimited undo would somehow cross the treshhold of it being no challenge at all and would ultimately make the game boring. And thanks for the nice words! This is my new zone out game. 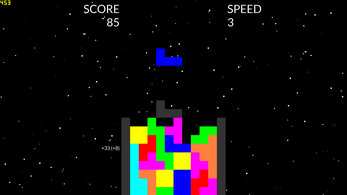 5/5 would tetris to space again. You have to install löve (version 11.1) (maybe your package repositories have it already?) then download the .love file and run it with löve!